From the Department of Health’s Zika campaign. The World Health Organization declared the global Zika crisis over last year, and Brazil — once ground zero for the mosquito-borne disease in South America — affirmed an end to the national emergency in May. But New York City officials are teeing up a renewed public-awareness campaign about the disease, as officials worry about a potential surge in cases as city residents travel to Zika-affected zones in the summer months. The public-health push is not without necessity. More than 400 pregnant woman have been diagnosed with Zika in New York City, and at least 32 newborns showed signs of a Zika infection. Of that, since January 2016 16 babies have Zika-related birth defects, including microcephaly, according to new statistics from the New York City Department of Health and Mental Hygiene. Though it’s a small number relative to cases in Zika hot spots, the New York Times says those 16 infants represent a quarter of all babies — 64, so far — born with Zika-related defects in the entire United States. Overall, a total of 1,067 New Yorkers have been infected with the disease since 2016. New York is (so far) free of the Zika-carrying mosquitoes, so all cases are tied to travel to infected areas, plus a handful of sexually transmitted cases. (And, even then, at least one person picked up the disease in a Zika region.) Most of the infections — about 40 percent — originated from travel to the Dominican Republic, a Zika zone from which many in the city come. 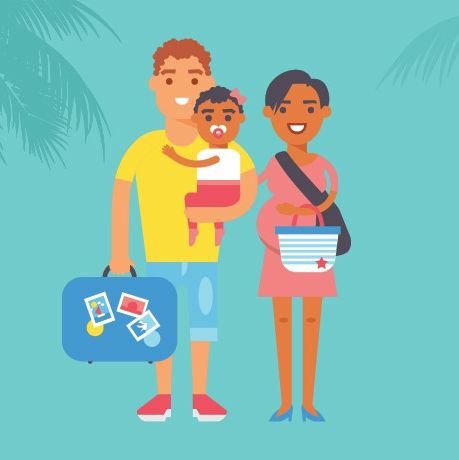 Health officials are particularly concerned about people who do have family ties to such Zika-affected places — the Dominican Republic, but also locales such as Puerto Rico and Jamaica — where summer travel or yearly visits could put New Yorkers in contact with those Zika-transmitting bloodsuckers.